Say hello to the future of convenient all-round dog protection. The all-in-one Nexgard Spectra Small Yellow offers protection from fleas, ticks, heartworm and intestinal worms for dogs weighing 3.6-7.5kg. The single tasty beef-flavoured monthly chew can easily be given with or without food and is not affected by bathing, swimming or shampooing unlike some sprays, spot-on treatments or collars. Like Nexgard, Nexgard Spectra protects against fleas and ticks, but has the added benefit of protecting against roundworms, hookworms, whipworm, and heartworm! 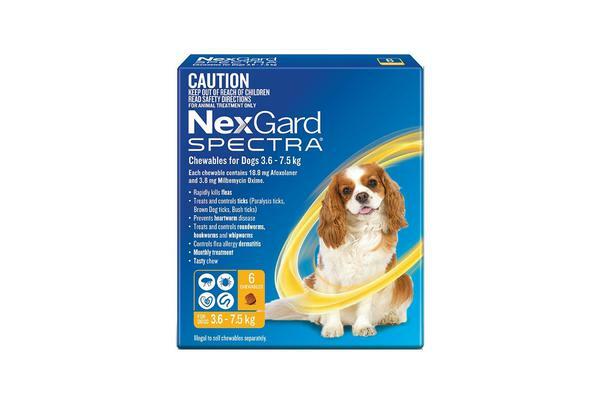 Nexgard Spectra is suitable for puppies from 8 weeks of age weighing more than 2kg. 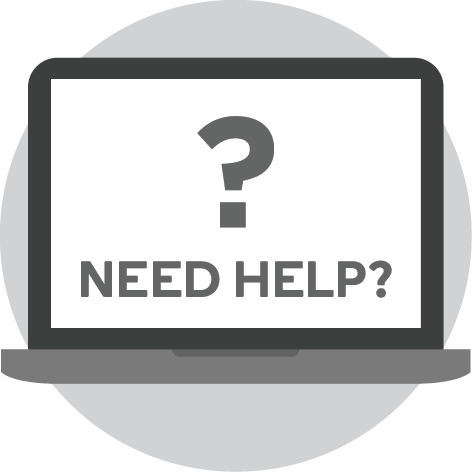 As well as being uncomfortable for dogs, fleas can cause skin problems and even transmit diseases. Nexgard Spectra Small Yellow kills fleas fast before they can lay eggs keeping your dog comfortable and your home flea-free! Regular use of Nexgard Spectra Small Yellow is the best way to prevent fleas from ever bothering you or your dog again! Ticks are extremely dangerous for dogs. For example, the toxins from the paralysis tick or even large numbers of brown dog ticks can be fatal for dogs. Nexgard Spectra Small Yellow helps to effectively protect your dog from ticks including deadly paralysis ticks, bush ticks, and brown ticks with each monthly chew. Heartworm disease is an ongoing problem for dogs across Australia. It is spread by mosquitoes and can be fatal for dogs. Prevention is definitely better than the cure and Nexgard Spectra Small Yellow is a highly effective preventative treatment for heartworm. Intestinal worms such as roundworm, hookworm, and whipworm love to target dogs and these parasites can be extremely hazardous to your dog’s health. Nexgard Spectra Small Yellow provides effective protection from these intestinal worms leaving you with a healthier and happier dog!